The class innovator in document finishing industry for more than 65 years, GBC® is the global, trusted leader in binding, laminating and shredding equipment and supplies, Owned by ACCO who perhaps own the maximum brands (24) and products for offices in the world. GBC is a proud member in the ACCO brands family! We are manufacturing company. manufacture all size of the best Shredding Machine for Industries for shred smoothly without any complication. 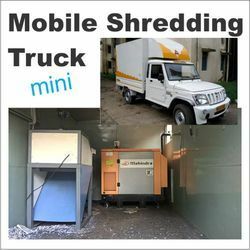 We have available all range of mobile shredding truck. We are manufacturing company. We also provide shredding services at the lowest price. We sell shredding papers for packing purposes and offer different grades as required. You need to just contact us for samples and we shall supply at very reasonable prices. Industrial/Commercial paper shredders are available for shredding the papers into strips for packing, they can be purchased for high usage and for the large quantity of packaging of boxes. We are manufacturing company. We provide all types of shredder machine with the affordable price without any delay as per your requirement. We manufacture all size of Hard Drive Shredder Machine at the best price without any quality compromise. We believe that Shredder Machine life is matters. 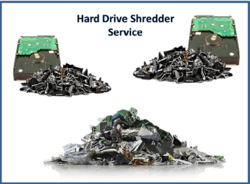 We also provide Hard drive shredding services. 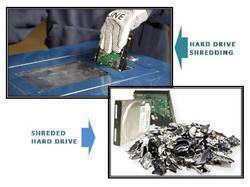 If you are looking platform for shred/destroy a hard drive, We are always here. With very big INDUSTRIAL SHREDDING EQUIPMENT we are capable of destroying tons of material in a day. All pickup, logistics and disposal for recycling taken care of by us. Hassel free out sourcing of the entire activity. 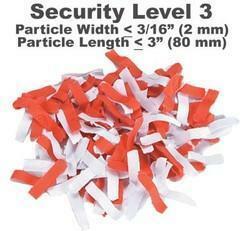 Contact now for very economical and eco friendly high security shredding services. We provide the Hard Drive shredding Services with satisfied cost. Rs. 250-500 per Hard Drive Shredding / Degaussing Cost. We also provide followingshredding services. 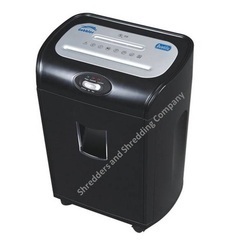 GBC paper shredders are widely sold all over the world and are now avialable in India as well, a wide range of machines with good features and excellent after sales service network all over India they are very popular and good value for money. the larger machines are the 52CDX which is almost as big as a domestic washing machine and can take 30 sheets together and crosscut too. 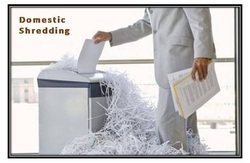 Onsite shredding service - All unwanted papers are shredded in front of you with certification for audit purposes. Well maintained machinery and expert personnel give fast, clean and economical solutions for any type of shredding service. 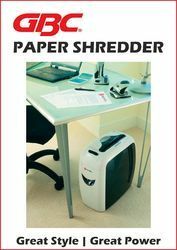 The average office worker still uses over 10,000 sheets of copy paper every year. And from financial reports to performance reviews, a lot of that paper ends up in waste cans and recycling bins. 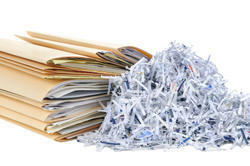 In the wrong hands, confidential information can lead to theft, fraud, or identity theft.That's why we at SASCO provide Paper Shredding and Document Shredding Services tailored to your needs.we have a wide range of services including off-site and on-site shredding.We will be pleased to hear from you if you need a economical solution to get rid of all your confidential documents. 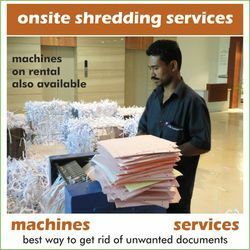 We are the only company in India that offers security level three shredding, generally shredding services are provided with strip cut shredders but we have industrial cross cut shredders which give higher security and greater protection against identity theft, the machines are made in India with ability to shred from 500 kgs to 5000 kgs in a day. We offer these machines on long lease with complete maintenace and service backup anywhere in India. Call/Contact now for rates of 1 machine or 10 machines, best guaranteed anywhere in India. We are manufacturing company. 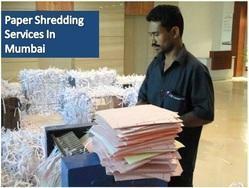 We provide completely shredding services without any delay with securely shred. For More details contact with our qualified technician. Just one call, Problem will solve.